At Northwest Motor Machine we don’t just specialize in passenger car, truck (gas and diesel), we also have the capabilities of customizing your engine or manufacturing new parts for stock or high performance. If you are in need of an engine rebuild or custom fabricationwe will provide you with the personalized service you deserve! We are the only machine shop in Idaho you’ll need. From your honda 50 to your D16 CAT WE DO IT ALL! All of our engines are rebuilt with new rings and pistons, freeze plugs, lifters, timing components, crankshaft, oil pump, and gaskets. We regrind, polish, and chamfer oil holes to rigid specifications on all crankshaft’s. Rods are checked for any bends or twists, resized and honed to O.E.M. specifications. 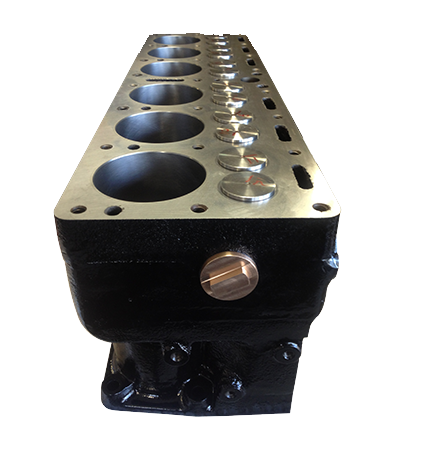 Valve seats are 3- angle cut for the perfect seal. Heads are cleaned, magnafluxed and pressure checked, and completely rebuilt. Blocks are cleaned and magnafluxed to ensure unseen cracks do not cause premature failure. Then, to assure proper sealing, block decks and cylinder heads are resurfaced. Finally, we regrind and thoroughly inspect valves on stock engines, and we only use new valves on all performance engines. Whether Mild to Wild Northwest Motor Machine can put together a complete engine package for you using truly the best parts in the industry like – Edelbrock, comp cams, Holley carburetors, Lunati, Brodix heads, Clevite bearings, GRP aluminum connecting rods, Federal Mogul engine parts, Eagle connecting rods and crankshafts, Mechanics gloves, Total-Seal Rings, Venolia pistons and connecting rods, Weiand Intake manifolds, XRP performance fittings, Moroso, Mr Gasket, Pioneer performance parts, and ARP fasteners.